YG Entertainment has released a clip of two of their trainees singing to Sam Sparro’s hit song, ‘Black and Gold’. The two trainees seen in the video are already known to the public eye as Kim Eunbi is a former contestant from Superstar K2, and was confirmed as a member of YG’s new and upcoming girl group in November 2011. It was announced on April 4th that Euna Kim had joined the YG company as a trainee and had been training for the last few months making excellent progress. 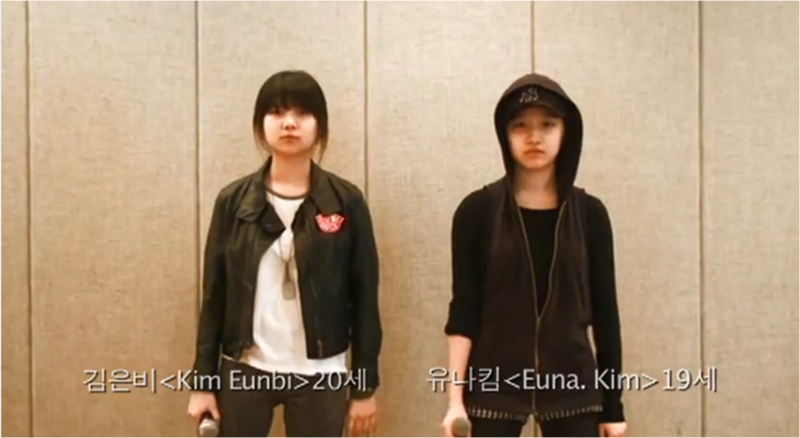 Euna Kim was a former contestant on Superstar K3. Now the girls have joined for a video just released on YG’s YouTube channel. What do you think? Be sure to leave a comment below! 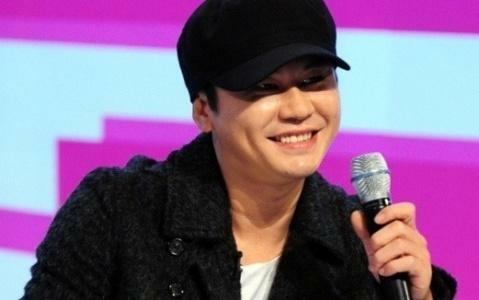 CL revealed something quite shocking about YG Entertainment‘s CEO Yang Hyun Suk. Lee SeungGi’s last episode MC-ing on Strong Heart was actually the YG Family Special episode. 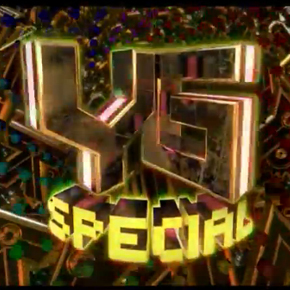 This special episode in highly anticipated as it will feature artists from YG Entertainment, including: Big Bang, 2NE1, Sean, Psy, Tablo, Gummy, Se7en. 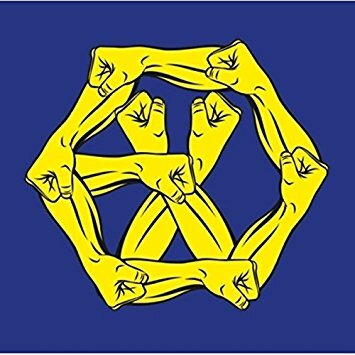 Because this episode is anticipated by fans from all over the world it is said to be the best episode on Strong Heart yet! The episode will air on March 27th. Refinery29 were very interested in Big Bang’s ‘out-there’ unique fashion. VIPs are up for a treat! A preview of BIGBANG‘s next Japanese single: Feeling has been released! The Japanese internet provider OCN released it as it will be the opening theme for TV Aichi’s new anime Super Robot Lifeform Transformers: Prime which premiers on April 7th. 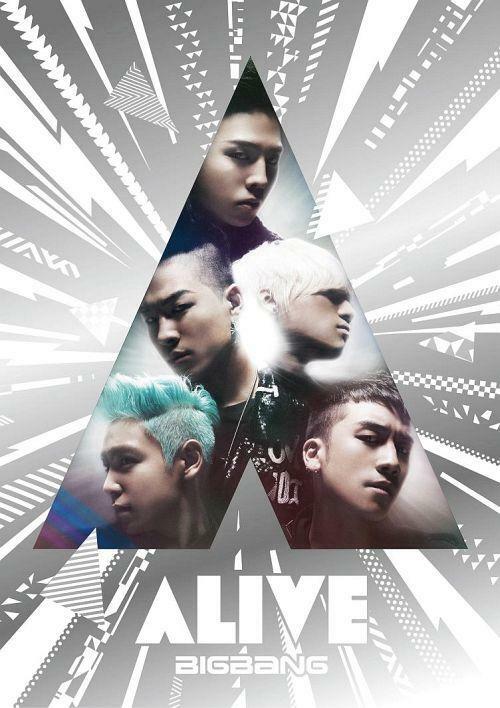 The track is said to be included in the Japanese version of BIGBANG’s Alive mini album, which will have 10 tracks: Japanese versions of the original songs on the Alive mini album and also Feeling and Ego specifically written for the Japanese listeners. There will also be a special bonus on the album: a Japanese version of Haru Haru! BIGBANG’s next Japanese single: Feeling is produced by BOYZNOIZE and G-Dragon. LOVE IT. Every time I listen to this song, I always imagine a really cool swag dance routine. Ain’t no fun has that coolness we are used to with BIGBANG but it also has a new sound which is really good to hear. Wow, fantastic baby.. What can I say, I’m in love with this song too. I think everyone loves Fantastic Baby. 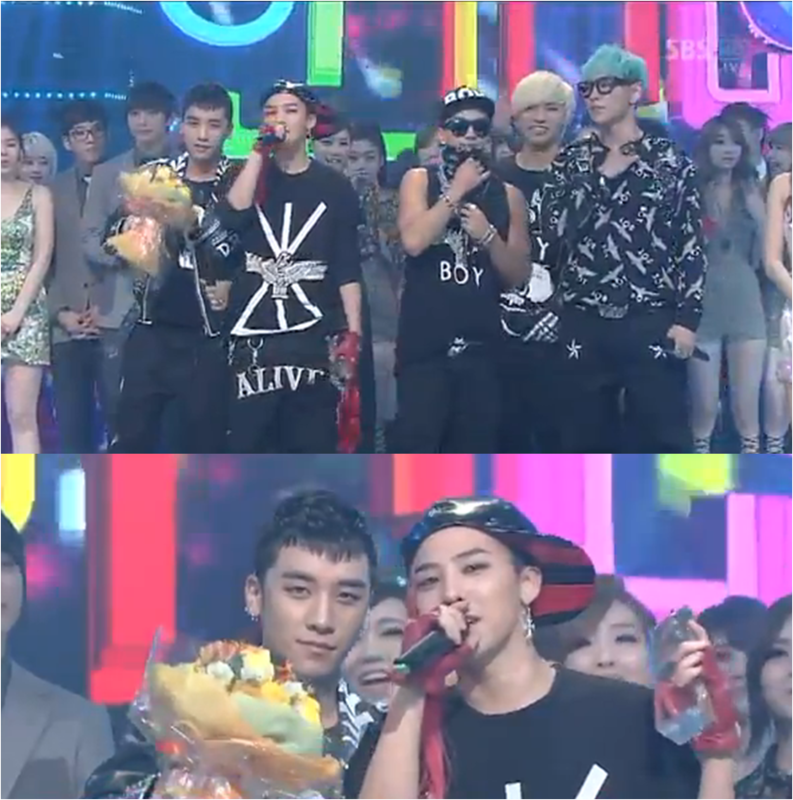 The fans’ response whenever BIGBANG perform this song live is amazing. They really get into the song. The release of the Fantastic Baby music video was like the release of ‘Tonight’ for BB’s 4th mini album last year: immense. 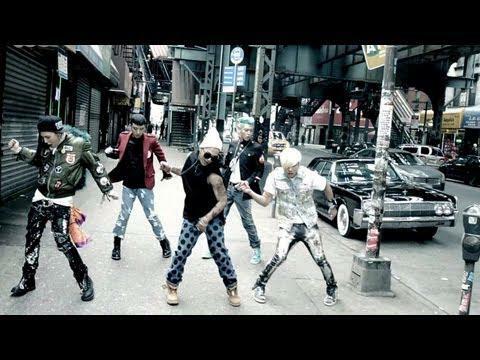 Fantastic Baby is a song that sets an image of BIGBANG all their VIPs letting loose and having fun at a club. After the hardships they’ve had through the past year, it’s nice that they can now let go of that and have fun on stage with Fantastic Baby. I’ll go ahead and put the live version up because the energy in their performances of this song is absolutely AMAZING.. Finally, last but definitely not least, is Daesung’s anthem-esque song: Wings. Daesung really deserved a solo track on this album and I was really happy when I saw that he did. I have to admit I wasn’t expecting much from this song, because I didn’t really like ‘Baby Don’t Cry’ that much and I only listened to Wings in full when I received my copy of the album. But when I heard it, I really loved it straight away, especially as the chorus hit. It reminds me of one of those old Jonas Brothers songs as it is pop-rock inspired but it also crosses over to a dance back track as well. This song seems to cover a few genres of music and I love how they managed to do that so beautifully. The aspect that really makes the song special is Daesung’s voice. 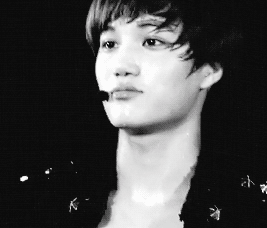 I really believe he has the best and most powerful voice in all of YG. This album is really showing off Daesung’s vocals especially in Fantastic Baby and Wings, whereas in BB’s 4th mini album I remember being dissapointed that Daesung didn’t get much lines. I’m glad Daesung has finally been getting his time to shine recently. 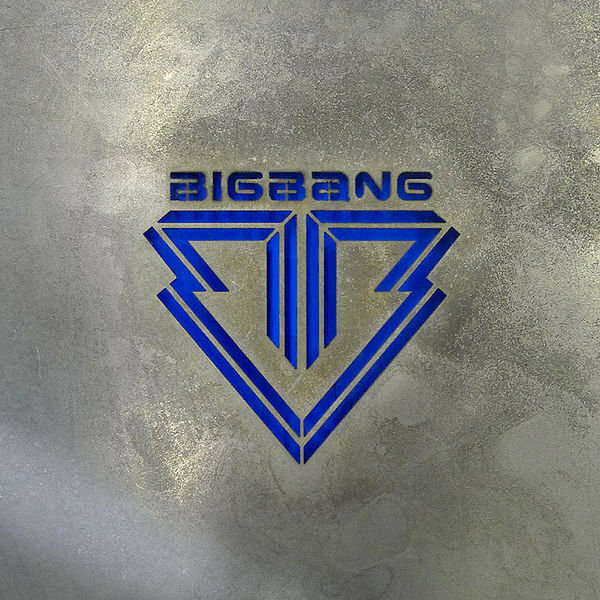 This is the first ever Kpop album review from wowkpop and it’s my favourite Kpop group: BIGBANG! 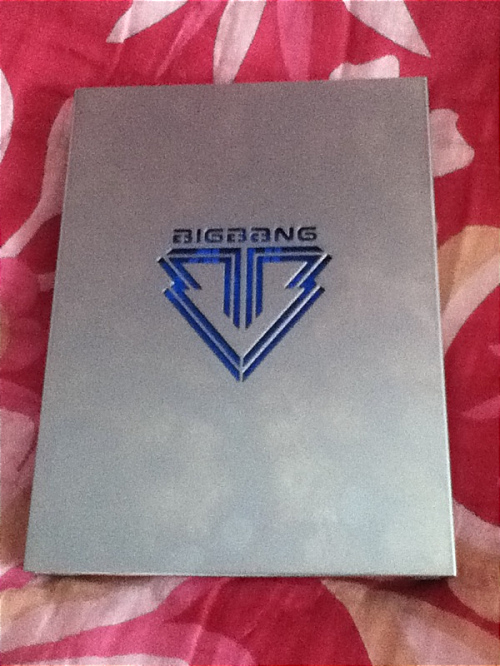 As you all know, BIGBANG recently released their 5th mini album: Alive and my physical copy finally arrived at my door yesterday, so I’m going to give my view on the album. Anyway enough of my rambling: here’s for the review. 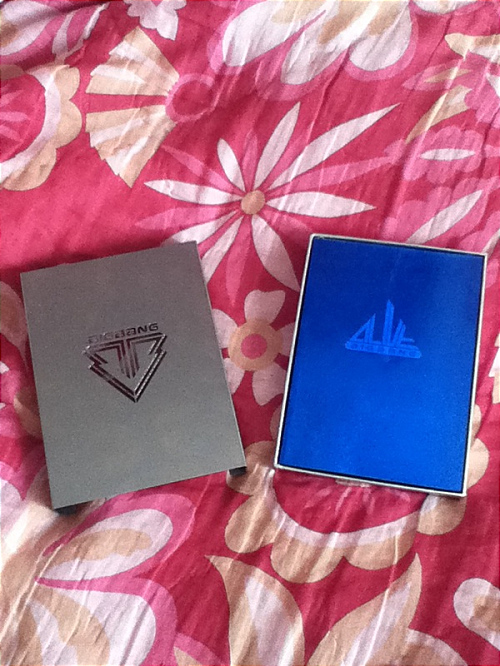 The physical copy of the album is of very high quality, the from cover is real metal and the album’s logo has been cut out fo the front to get an awesome artistic, futuristic effect. The first track to be released from the album as a single is… (please don’t hate me) not my favourite song on the album. The first time I heard this song, I was bobbing my head to it but not really fangirling about their big comeback song. I was expecting something explosive since it had been so long since we had heard them sing together but I didn’t really get that explosion. It’s not because it’s like a ballad, because I’m not one of those people who won’t like a song just because it’s a ballad, in fact I do quite enjoy more mellow songs as well as the big dance tracks, but as a comeback song, I don’t think Blue was a good choice as the first track to release. Although, if I think about it, I can understand their logic behind their choice. After a year of hardships and an almost break-up, they probably wanted their fans to hear their sorrow, rather than break out into a big dance track leaving their sorrows behind. It was probably a graceful gesture for them to release Blue first and it is still quite an enjoyable song. The more I listen to it, the more I like it. Although I probably do still enjoy the other songs on the album more than blue. Love Dust is a refreshing song. It sounds like a BIGBANG song but a little bit of will.i.am inspiration to it as well. The song is about a breakup although the music is quite happy and creates an interesting contrast. I suppose the song was composed this way as to make it a break up song that won’t make you depressed, and I like that. 🙂 This is quite a popular song from the album and I can understand why, it reminds me of the kind of tracks they would put out back in 2007 or ’08, but it’s still a very modern sound. I absolutely ADORE this song. Bad Boy straight away became my favourite song as soon as the full version was released. Even when the teaser video for this song came out, I fell in love with the little segment of the song that I heard. It sounded like proper RnB and I’m definitely a fan of RnB. In the teaser, we only got to here Taeyang’s part in the chorus and I loved his voice in the song; I actually wanted the whole song to just have his voice on it. I couldn’t imagine the whole song with the other BIGBANG members and I thought it would ruin the song to hear the other members voices on it. Then I watched the longer Naver version of the teaser and hearing GD’s voice, I totally changed my mind. 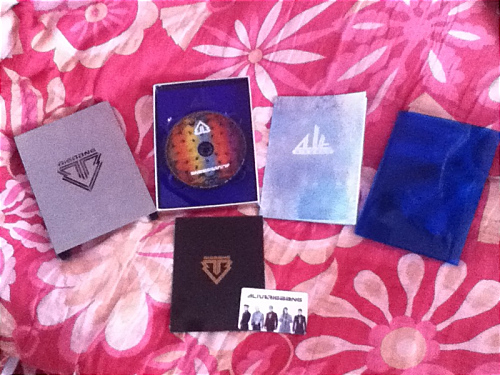 You can just imagine what I was like when the MV came out and I finally heard the whole song. DAYUMM! I fell in love! If a human being could marry a song, I would marry BIGBANG’s Bad Boy. GD’s “Uh … yeeah yeaah” in the beginning is just… LOVE *fangirl moment* and Daesung’s part – I love; I learnt the lyrics straight away. I also absolutely adore the chorus, it sounds so cool when GD sings it, and TOP’s version of the chorus gives off a totally different feel. The song over all is just on a whole other level of SWAG. Check out part 2 of the review.